Kathleen Pallardy’s husband surprised her on her birthday last year with a gift of quilting classes – quite a surprise for someone who had never quilted. 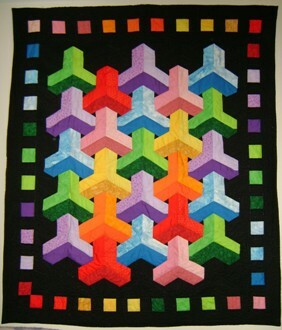 Like many of us, she grew up enchanted by a grandmother who sewed, crocheted and tatted anything that moved and so learned to create many homemade items, except for quilts. 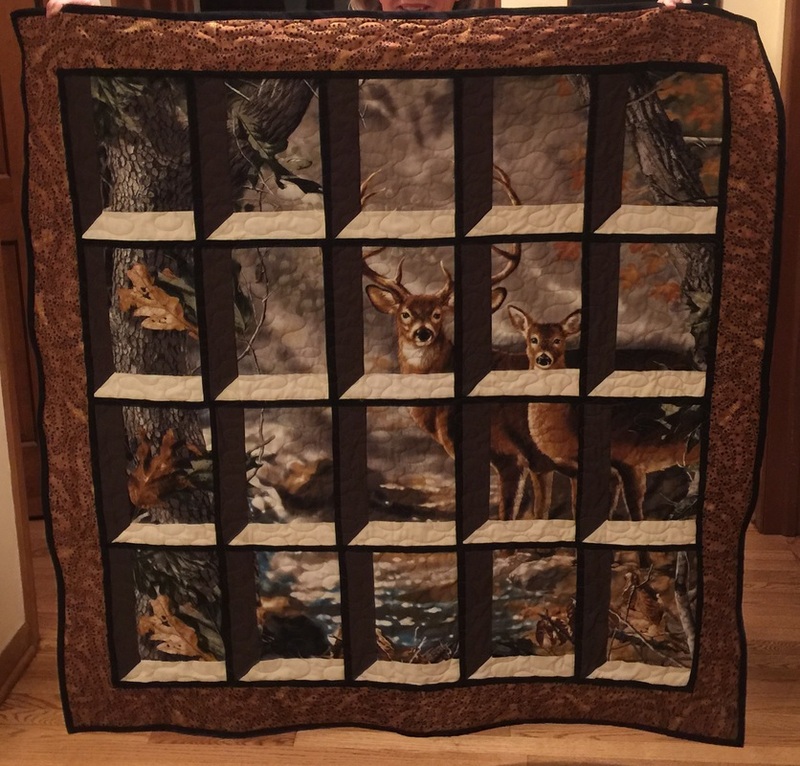 But since taking her classes, she has completed eleven projects and in 2015 joined Riverwalk Quilters Guild, where she is the current webmaster. Growing up in Chicago and then Glenview, Kathleen is the second of six children, five of whom are her brothers, which may explain her easy comfort in any company. Working in technology sales worldwide keeps her days full, so she looks forward to the time she creates quilted projects for her family. She counts Jenny Doan of Missouri Star Quilt Company [www.missouriquiltco.com] as a key player in her quest to improve and she goes often to Jenny’s videos when she needs help. Acquiring a variety of basic quilting and pattern books has also been a huge help to her. 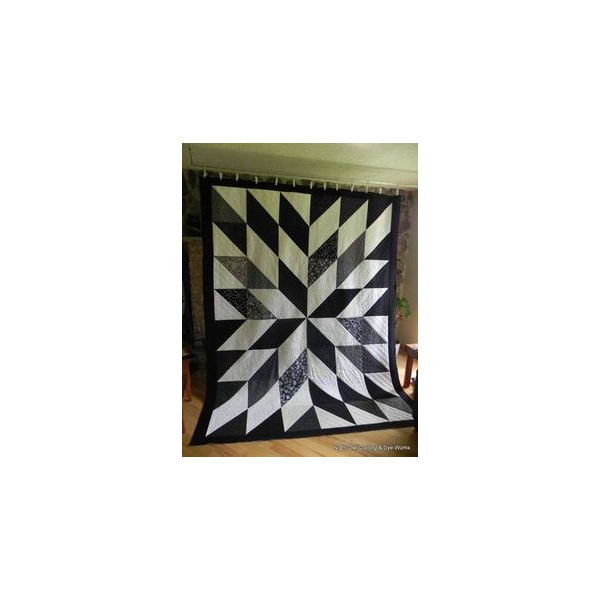 ​A functional quilter is what she calls herself, as she ticks off the folks for whom she has made something useful. But if you look closely at her work, you see that she has become quite accomplished in the short time she’s been quilting. Her first, a blue and white beauty, displays her skill as she begins to quilt her own tops. She adapted a Weeks Ringle layout for one of her brothers. For her son, a deer hunter, she tested her skills on deer seen through window panes, with an eye-popping result. Kathleen enjoys time spent with the Fabric Fondlers Bee working on special group projects and learning together. Now, she says, if only she can conquer the mystery of applying binding properly and perhaps learning to do hand applique, she will be happy. Either way, she says she is now officially hooked and expects to be a quilter for a long time to come.